The Knitting Network team adore all things retro. We've raided our archives to bring you a round up of our favourite vintage knitting patterns for ladies and had them re-knitted in modern yarns. Our list includes a number of garments that will be sure to help you make a sophisticated throwback style statement whenever you step out. Interested in making yourself some chic pieces? Placing an order is easy. Simply click on the name of The Knitting Network product listed below that you'd like to purchase. You can then choose to have a PDF of the desired vintage pattern posted out to you, or you can download it yourself at home. The 1940s is known for being sensationally stylish decade. 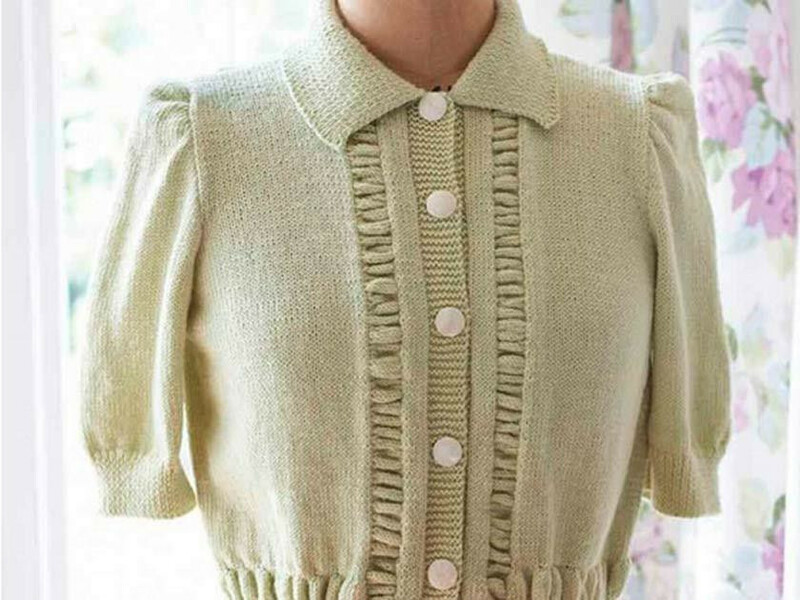 You can make your own nod towards it by knitting this vintage short sleeved cardigan. With set-in sleeves and buttons that run up the front, it's a piece you can wear with skirts and dresses alike. Show off your knowledge of 1950s fashion by knitting yourself this round-neck sweater with short sleeves. Perfect for those days where you need an extra layer, this mohair wrap is wonderfully sumptuous The design was originally printed in Woman's Weekly's 6 June 1959 edition. Gloves are essential when the weather turns cold. Instead of hitting the high street in search of some, we urge you to craft a pair using a pattern first featured in the 26 September 1953 issue of Woman's Weekly. Knitted in mock cable with single rib welts, cuffs and button bands, this vintage cardi also has set-in sleeves. The yarn is a lightweight 4-ply, so it won’t feel heavy to wear. We debuted the pattern in a 1965 issue of our magazine.